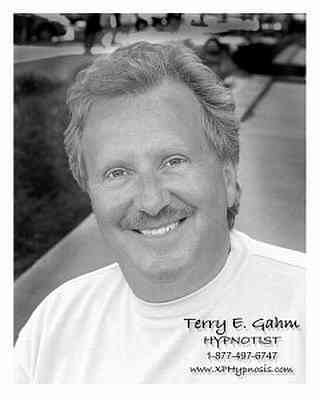 HypnoTERRY is in demand as an accomplished stage hypnotist and speaker. His entertainment and educational offering titled, “It’s Amazing! The Minds of America!” is a powerful presentation that exemplifies hypnosis in action. When people experience Xtreme Power Hypnosis they are happy! His seminar and professional speaking demonstrations include the subjects of drug-free living, success/sales motivation, stress management, habit control, learning/memory enhancement, and his favorite topic, the power of music and humor in life. Terry graduated from Creighton University and has studied hypnosis with masters such as Ormond McGill, Jerry Kein, Jerry Valley, Calvin D. Banyan, and Robert Kennzington. His childhood experiences culminated into an incredibly unique awareness that manifested itself in Vietnam. As a First Lt. personally responsible for men’s lives, the power of hypnosis entered his reality. It took many more years for this unfamiliar knowledge to consume Terry, but it did, and his hypnosis career began with earnest. Terry’s sole mission in life is simple – to help people help themselves and laugh! Want the full story on Terry?